Sponsoring trainee teachers in The Gambia. The charity Sponsor A Gambian Teacher aims to provide Gambian people with the opportunity to train as teachers, work as teachers and teach local children. 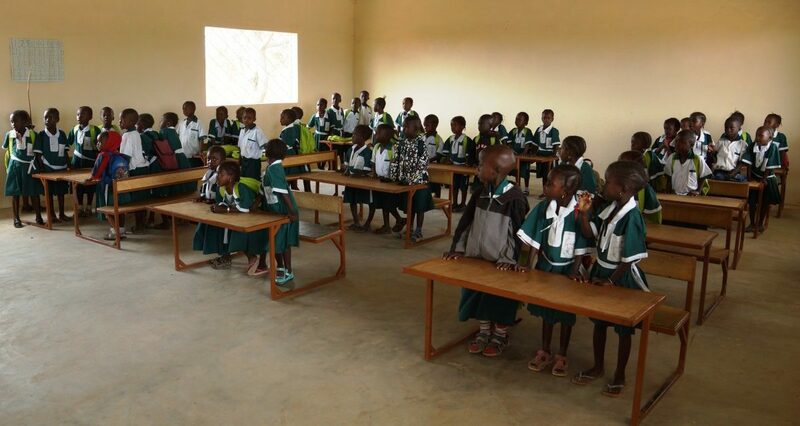 In March 2012 following a visit to The Mansa-Colley Bojang Nursery School whilst on holiday in The Gambia, West Africa, Steve and Sue Lewis decided to start a charity to support the school. Many of the children were sponsored but there was only one trained teacher and ninety five children. The creation of Mansa -Colley Bojang Nursery School was the work of Muctarr Bojang, (Mucki), who discovered the local compounds of four nearby villages whilst working as a guide for West Africa Tours. He was leading a group looking to photograph monkeys! 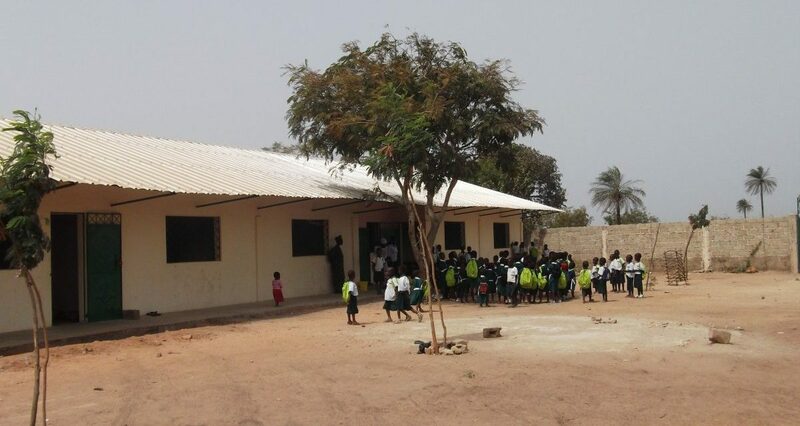 The school is sited close to Jallanbang Village, near the town of Brikama in The Western Division. Mucki’s determination and inspiration was all about providing an education for children who would not normally have access to one. The children’s pleasure and excitement was there for all to see. However, for a school to be successful there had to be qualified teachers. The more teachers there were, the more children could go to school. Talking with Mucki we discovered that many of the children were sponsored through a charity based in Oxfordshire called ‘Sponsor A Gambian Child’. Parents in The Gambia have to pay for education for their children and most cannot afford it. Mucki explained that he had many sponsors but lacked qualified teachers as the training was expensive and local people had no means of raising enough to pay the college fees. It was agreed that sponsoring a teacher was a good way to add value to the work being done already but upon returning to the UK it was decided that sponsoring one teacher was not enough. Initially, two teachers began training at Mansa-Colley Bojang Nursery School, but now in 2018 and through the generosity of donors to this charity, there are now 39 teachers including 15 qualified teachers working in 27 schools. 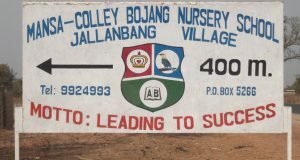 There are 8 SAGT teachers who have received sponsorship at Mansa Colley Bojang School, teaching children from 4 local villages in the Jallanbang area. The other schools are located in villages across the Western Division in such places as Farato, Kitty and Sanyang. Check out the news items for further information, and if you’re on Facebook, check out the Mansa-Colley Bojang Nursery School page! A big thank you to everyone who has helped to make this possible! You can make a difference through making a donation. Just back from The Gambia! Copyright © 2019 Sponsor A Gambian Teacher – Powered by Customify.